For sensitive teeth this gentle toothpaste helps prevent plaque naturally without the cooling effect of peppermint which can increase the feeling of sensitivity. German Label as seen in picture. Healthy teeth begin with healthy gums and what better way to increase your mouth hygiene than with natural organic products! This gentle, non-peppermint based, toothpaste has been designed to thoroughly clean without exacerbating tooth sensitivity and receding gums. Regular brushing not only keeps breath fresh and helps prevent gum disease, but also removes plaque and prevents tartar build-up, leaving you with healthy teeth and gums and less risk of cavities. This toothpaste has been produced using Witch Hazel, Lemon and Grapefruit for a refreshing taste. Note, all Dr Hauschka Med dental care products contain no added fluorides or surfactants. Application: Brush teeth twice daily, morning and evening. Tip: Ideal for those with sensitive teeth. 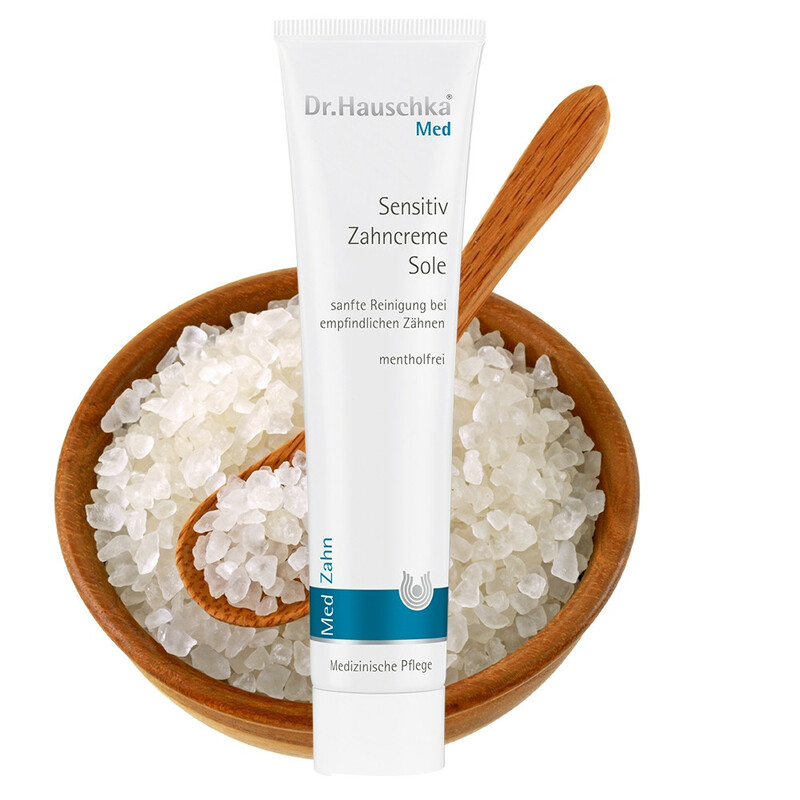 Matching Products: Can be used alongside Dr Hauschka Sage Mouthwash for an all-round healthy mouth.